I actually painted this yesterday so I feel like I’m cheating a little bit. 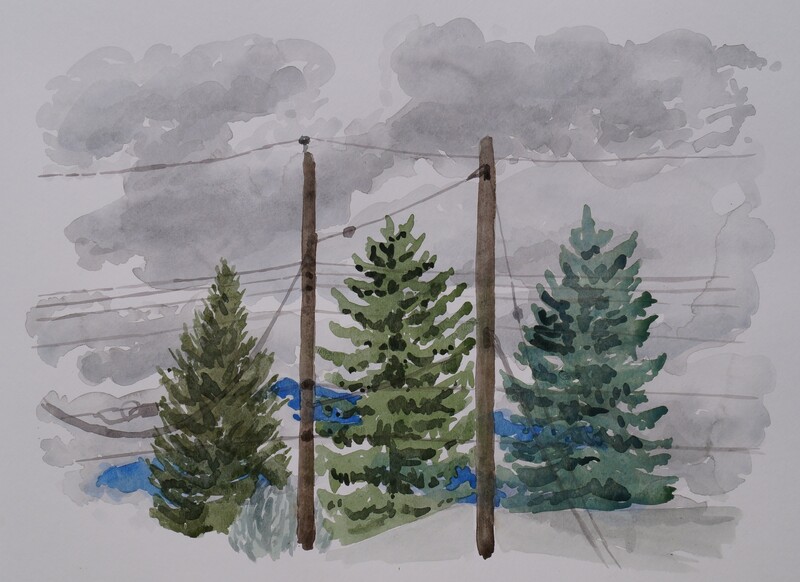 After my sunny morning on the deck and painting the peony yesterday, these clouds rolled in and I was inspired, so I went ahead and painted them. A good thing too because today turned out to be a bit hectic and I didn’t get another painting done. Though I like that I am inspired enough right now to paint two paintings in a day. This summertime series so far has been much easier and less stressful than the springtime ones. Maybe I have finally “shaken out the cobwebs” so to speak and can get on with it. I just have to keep it up–paint, paint, paint.